“What kind of God …?” This is the question Jaime Nichols has asked herself for the past two decades. What kind of God allowed the horrors she experienced happen to an innocent eight-old girl? What kind of God left her alone in that dark place? Jaime’s story is tragic, and horrifyingly too real in today’s world of free will where evil is allowed its reign. But she is also one character who has been through the trenches which only makes her a stronger voice for those who are abused. And now that she’s ready to stand up for herself, to let her voice be heard, she is going to need more than herself standing beside and behind her. 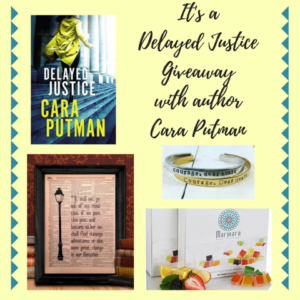 This is most definitely Jaime’s story—one that she must finish in order to live fully—but she has a fantastic supporting cast around her with her friends who have stood with her since law school Then there’s Chandler Bolton. The two don’t have the best first meeting, but Chandler is a guy who proves there are still good ones out there. 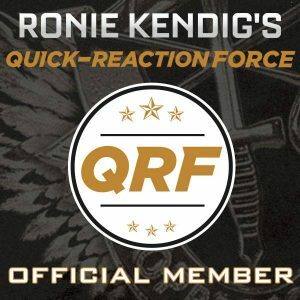 One who is patient when he needs to be but also goes after what he wants (and, of course, the Captain America references to his looks don’t hurt matters). 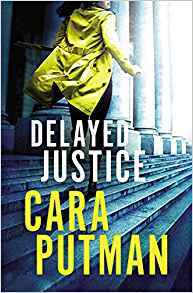 In Delayed Justice, Cara Putman gives readers another fast-paced legal suspense that gives readers a peek into the wheels of justice. But even more so, she handles difficult but real issues in a way to bring them the attention and justice they deserve as well as brings light to the amazing love God has for the broken and hurting hearts.